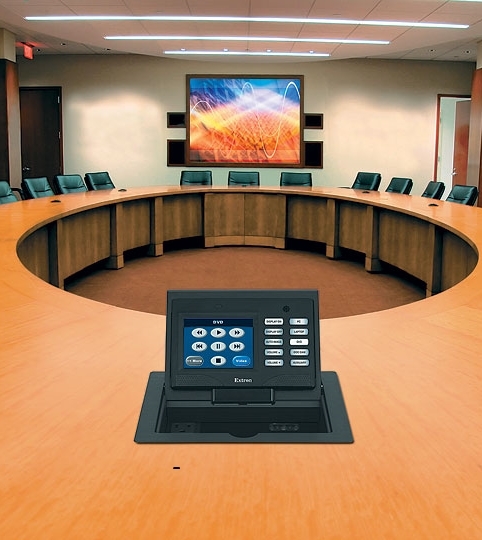 A Boardroom requires seamless audiovisual technology to enable presenters and staff to share information effectively and efficiently with meeting attendees. To ensure that meetings run smoothly from the beginning to end and maximise your communication experience the correct mix of technology and control is needed. We offer simplicity, efficiency, and productivity with cost-effective integrated automation and control solutions for today’s technology rich presentation facilities including media-driven presentation facilities with participants in the room or audio conferencing or video-conferencing.